Discussion in 'Servers Featuring MythicMobs' started by Awesome_Dante, Aug 7, 2016. Hello everyone! I'd like to thank you for all the support you guys have given towards my showcases and my tutorials! So. 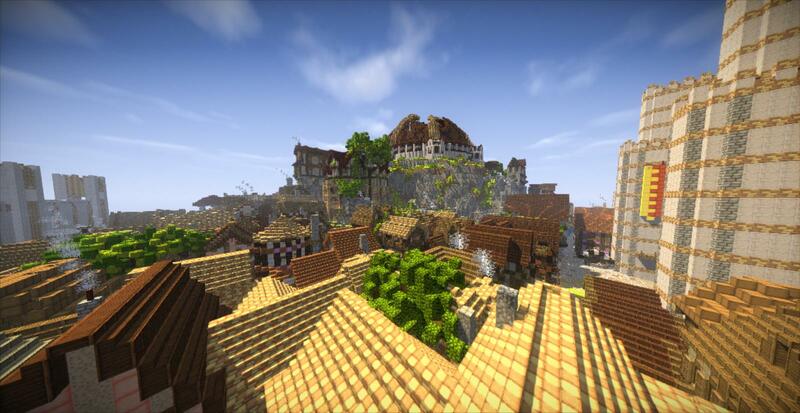 I have finally decided to open my server to the MythicMobs community! This will be a perfect opportunity to test out my game. Custom hell world. You are able to build here. Biohazard is the culmination of all of my successful and awesome gameplay mechanics packed into one server. After being back in development since 2013 I am happy to announce my baby is finally ready for play. And it will blow you completely away. 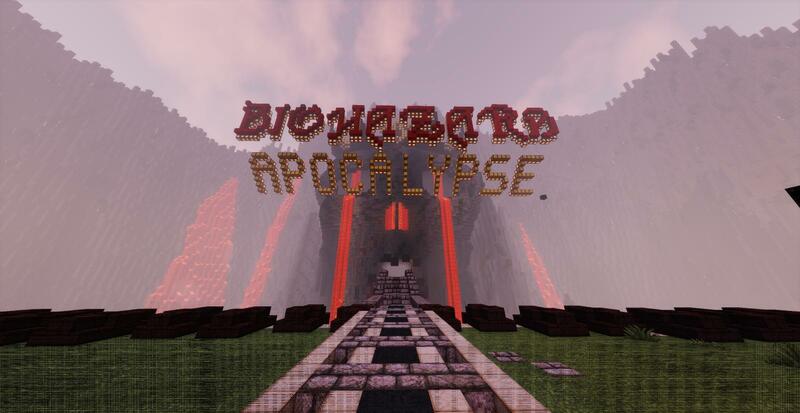 Biohazard apocalypse is a sandbox style zombie apocalypse FPS game mode. Its advanced gameplay mechanics are oriented towards providing a fun experience to users, while still maintaining a good challenge. Your objective is to reach the top rank, and level your character until he is powerful enough to defeat the final boss. On Biohazard you will encounter many cool monsters, weapons, special effects, and rock solid mechanics. PLEASE NOTE THAT BIOHAZARD IS STILL BEING DEVELOPED, THOUGH IT IS PLAYABLE THERE MAY BE BUGS. I'm not the best at writing posts, but I can promise you one thing. Play Biohazard for an hour and you wont want to leave. Michael Strast, Blazex, EightBitPixel and 1 other person like this. You're gonna love my OG minecraft account. and with Biohazard Apocalypse the intro/tutorial was great but i couldnt find my way out of the town and a bandit took me 5 min to kill, have you thought about giving levels to the mobs? 1. Spaceblock is not part of this post as it is incomplete. 2. 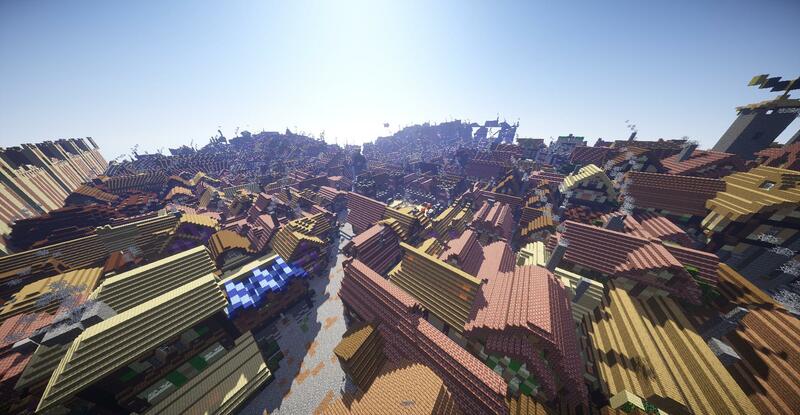 There is no "Out of the town" The entire server is a giant town. 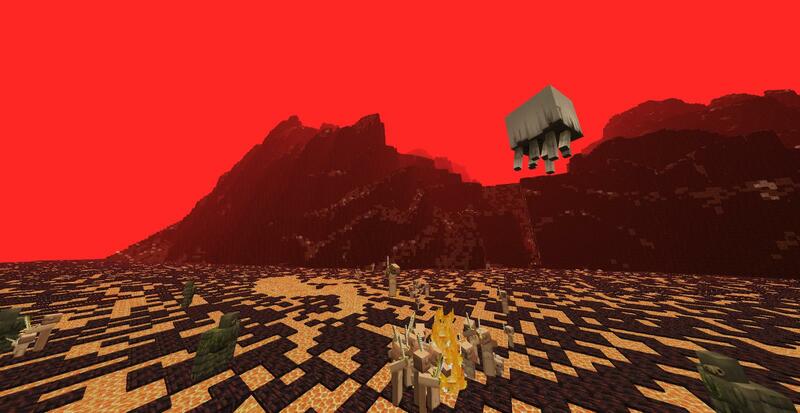 You can get to the hell world to build by typing ./warp Hell , but it will later be locked to Higher level players. 3. 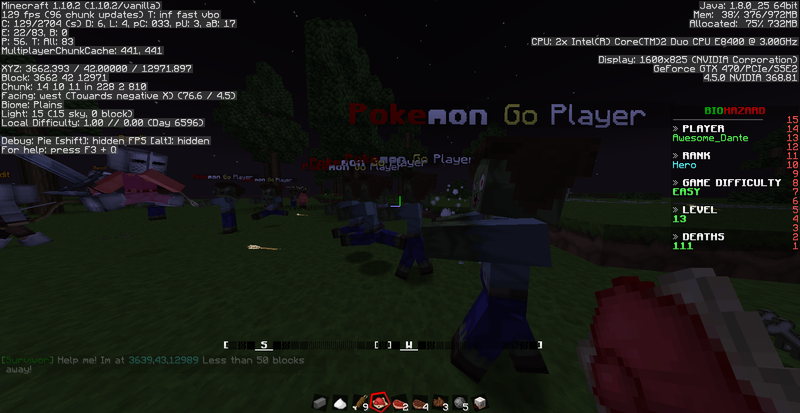 I used to have levelled mobs, but I got rid of them due to glitches / performance issues / inaccuracy / and to make the game simpler. Also bandits are only hard to kill if you arent using guns, which you really should. Or youll just get merced by anything with two legs and a pulse. This is what I was addicted to last night and Im coming on again to play right now XD Its really fun, and the only thing you need is Optifine. And lots of Ammo. Michael Strast and Awesome_Dante like this. No it should be online lol and Imma be honest. No ones gonna help me, lol Its just something I guess I gotta do solo. Which is fine I guess, but Id like to see things come to fruition faster. The server takes a lot of my MM time from me so I'm probably not going to be around as much. From what I can tell so far, it's a pretty decent place. However, I do think the screen is a bit cluttered. It's a bit excessive, I think? I can't see where I'm going. Also, there was an area near the castle that instantly killed me whenever I got near it. All my items got cleaned up. Yeah im working on the clutter. Also that area is the moat spikes area. It is littered with signs telling you you will die horribly if you fall in. Reason being that you cannot get out if you fall in. Also wanted to check if people read warnings. No, it definitely wasn't the moat is. Where I died was near the exit to the sewers.